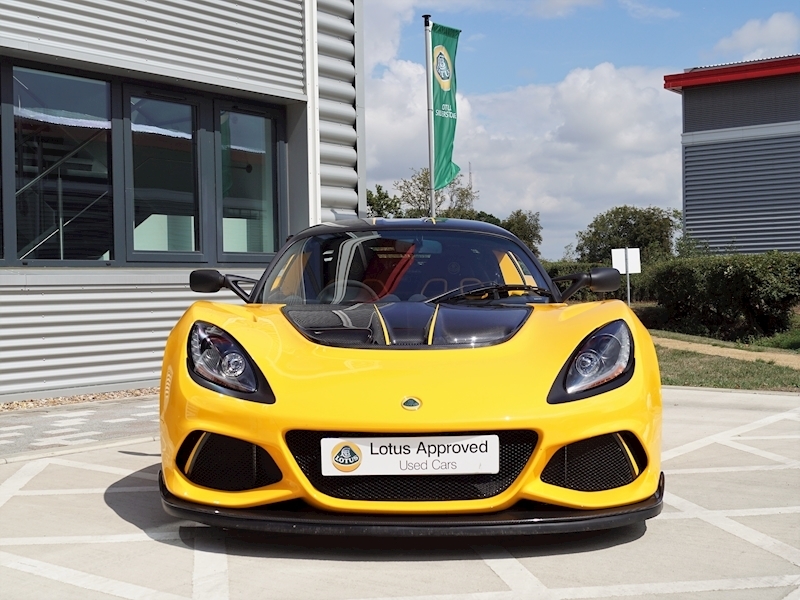 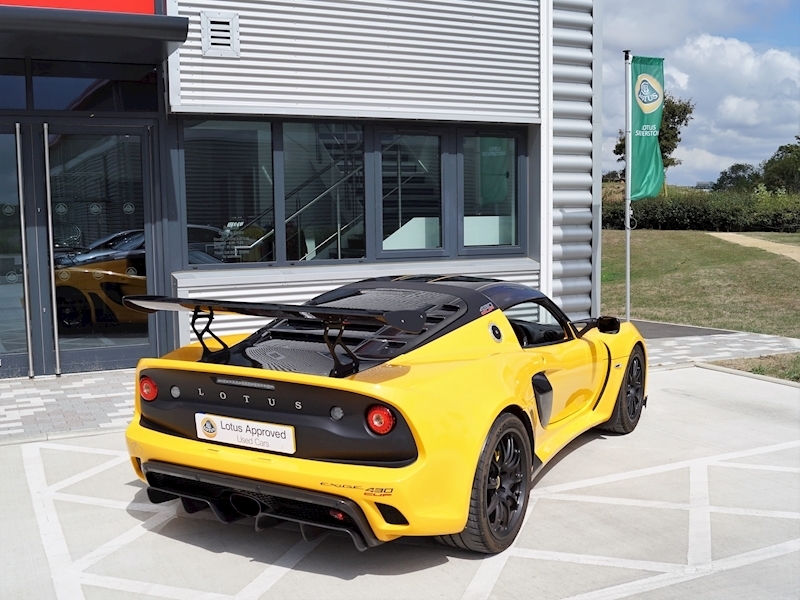 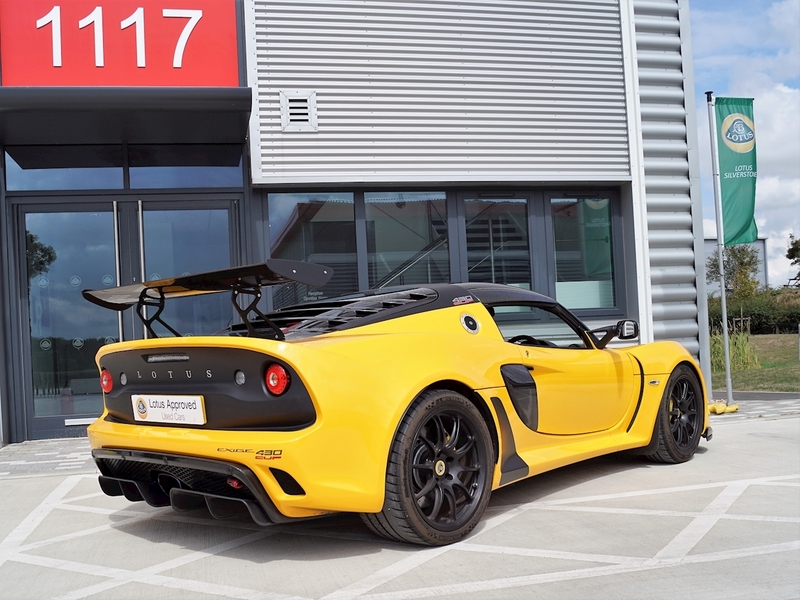 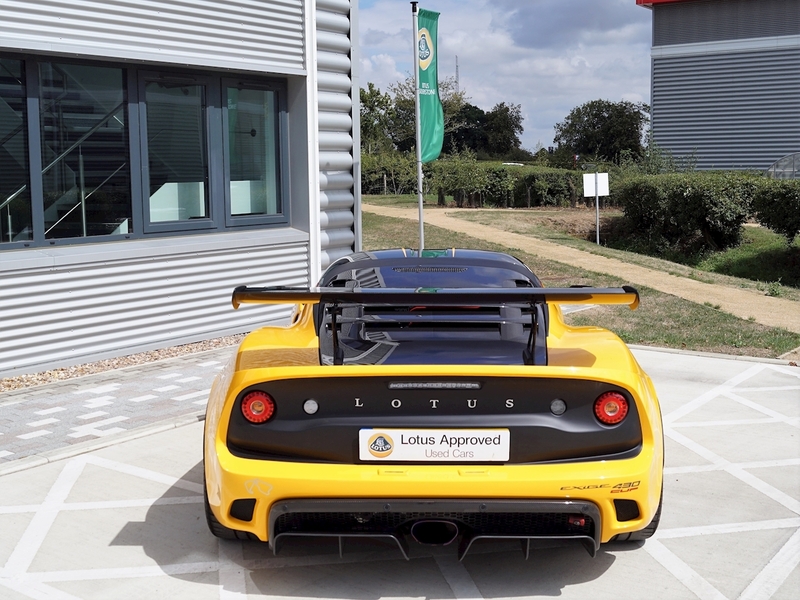 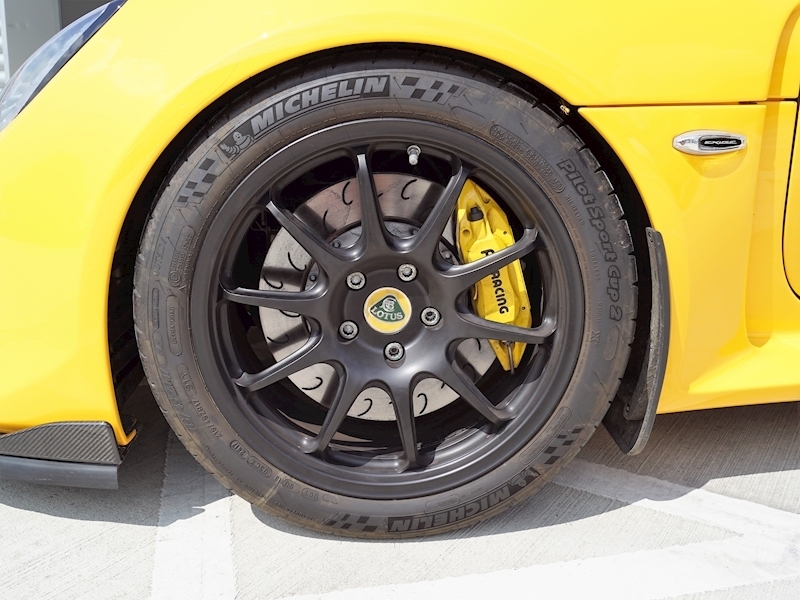 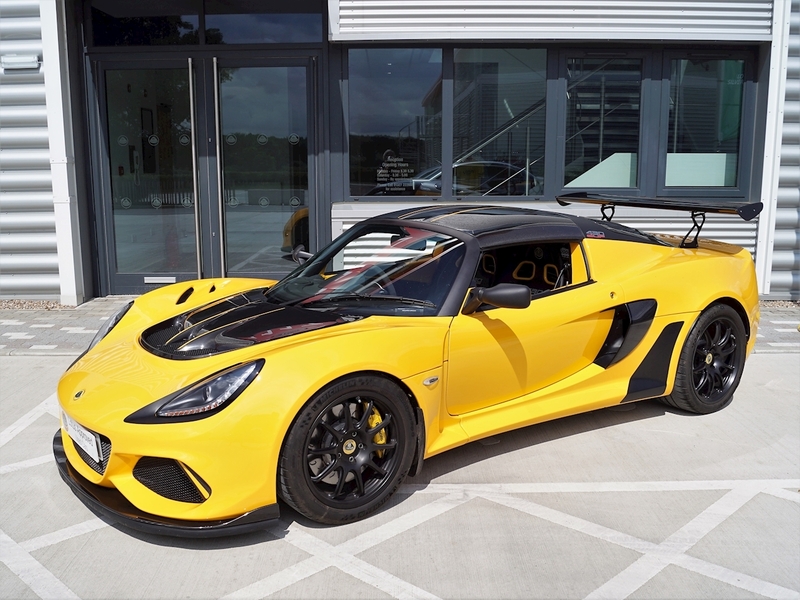 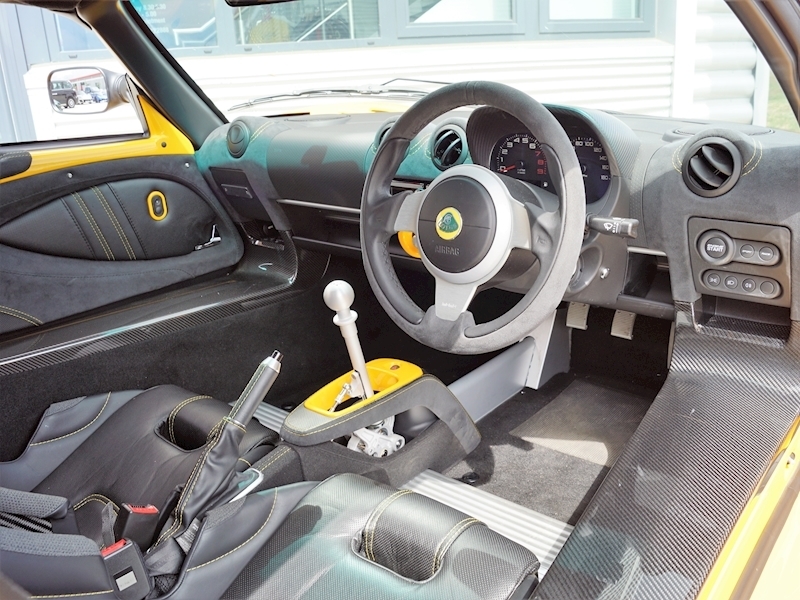 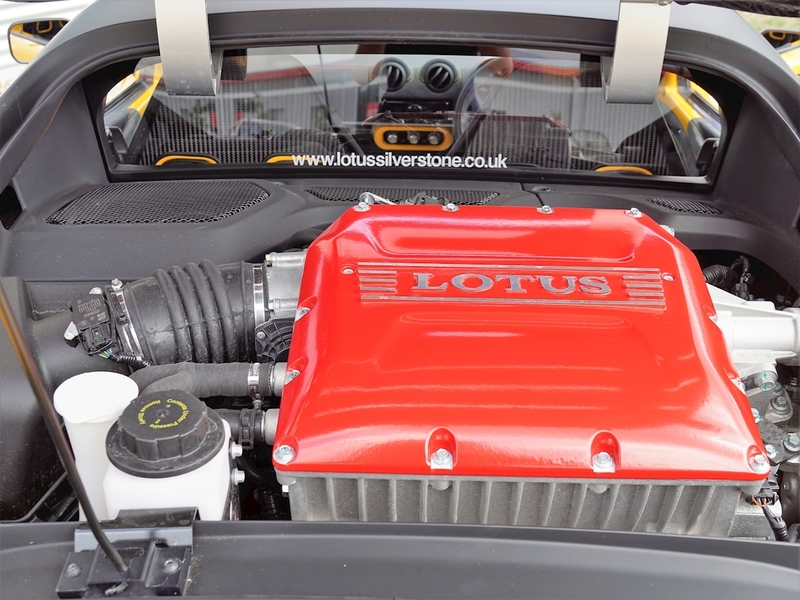 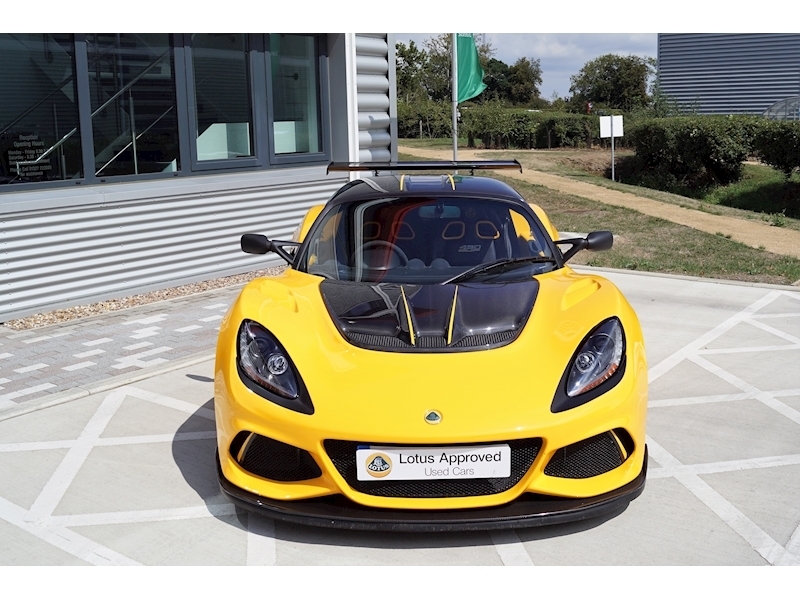 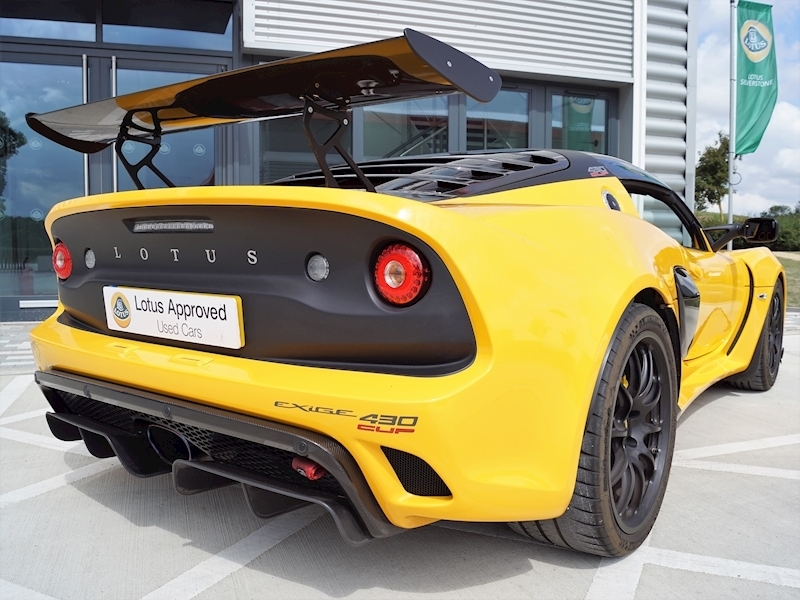 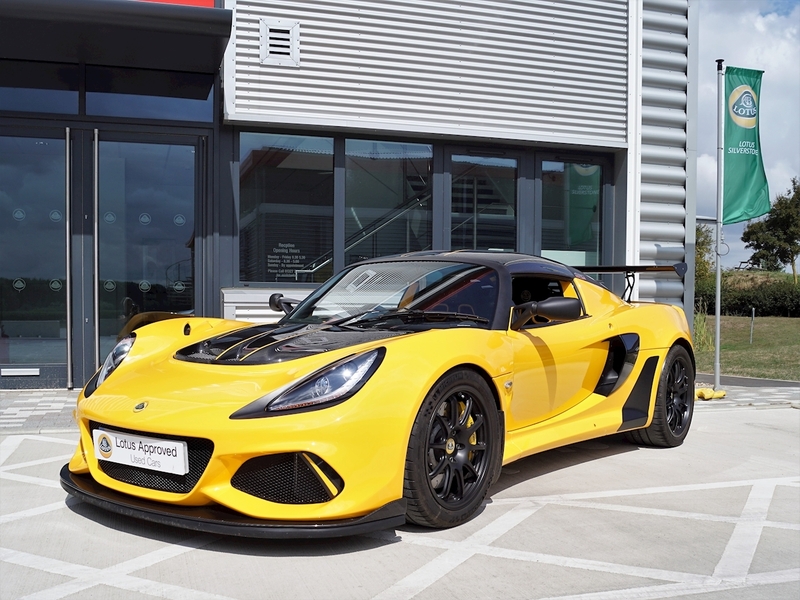 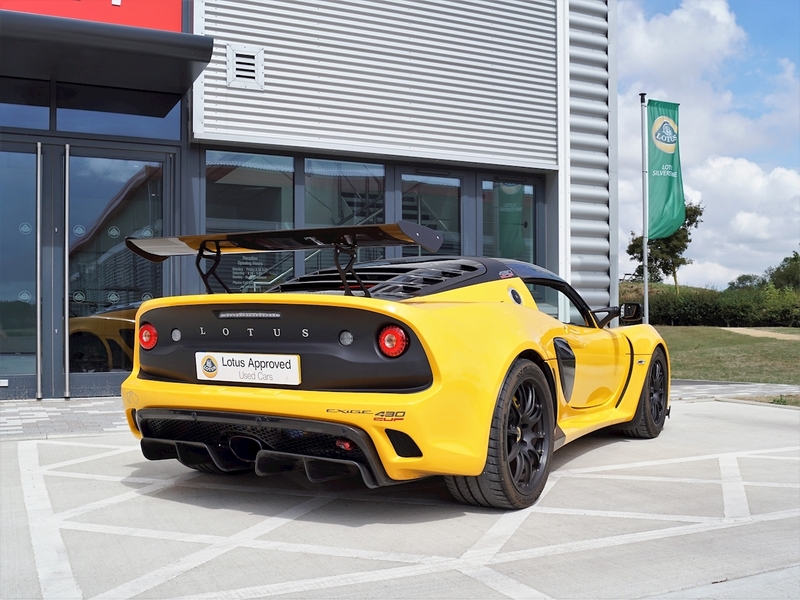 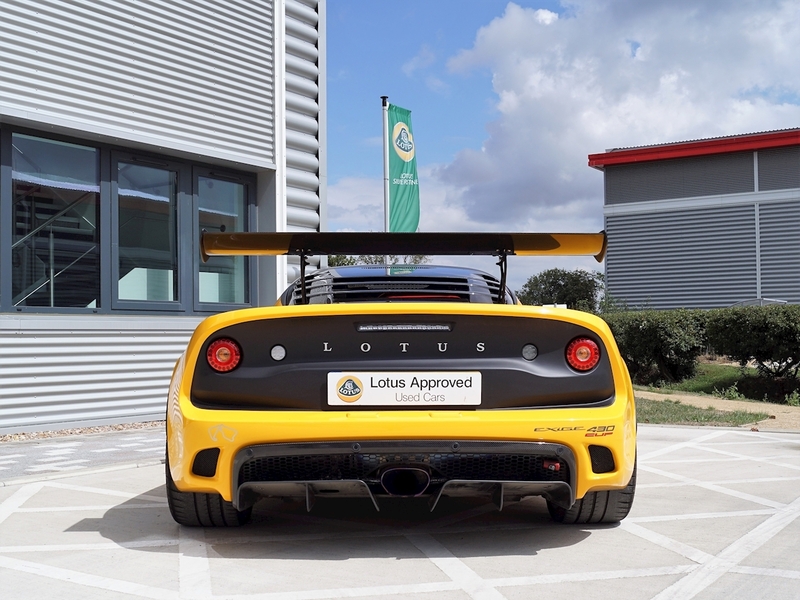 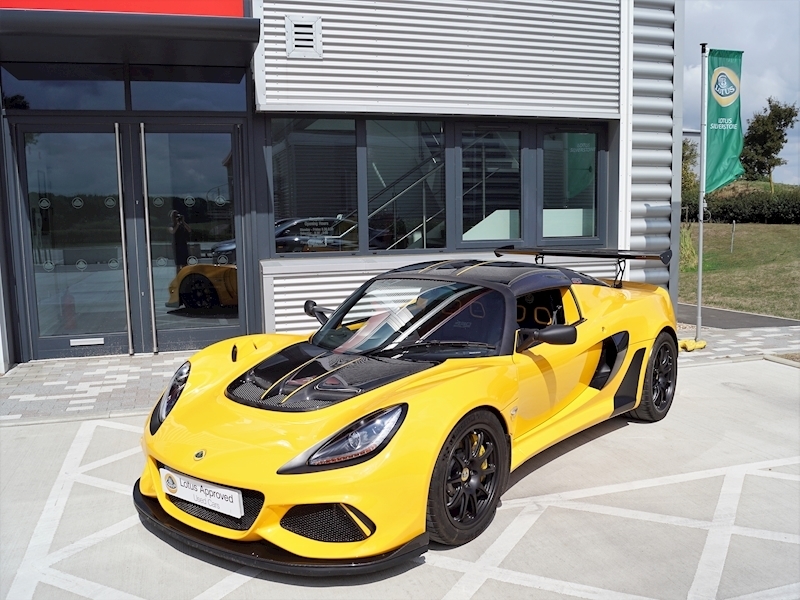 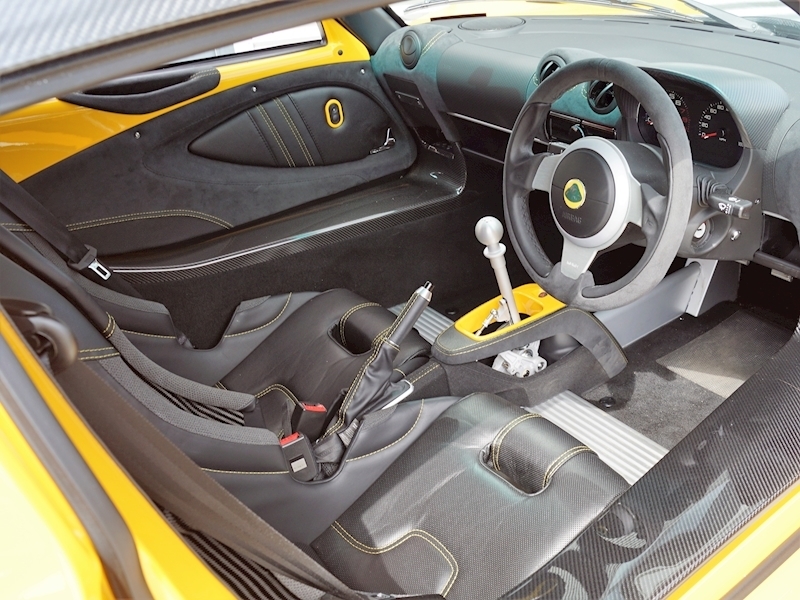 Lotus Exige CUP 430 finished in Solid Yellow with Carbon fibre front splitter, Carbon fibre straight rear wing, Carbon fibre front access panel, Carbon fibre side intake, Carbon fibre hard top, Carbon fibre air curtains. 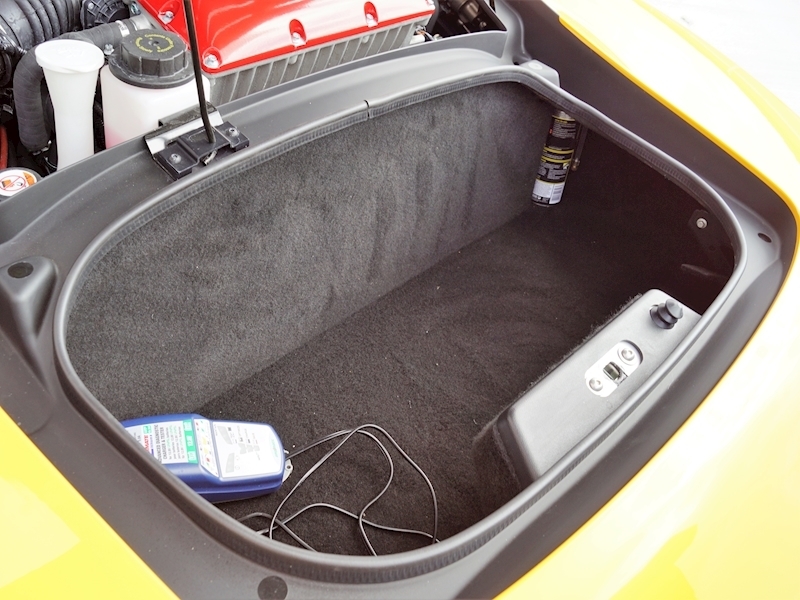 Solid Yellow highlight on front access panel, hardtop and air curtain. 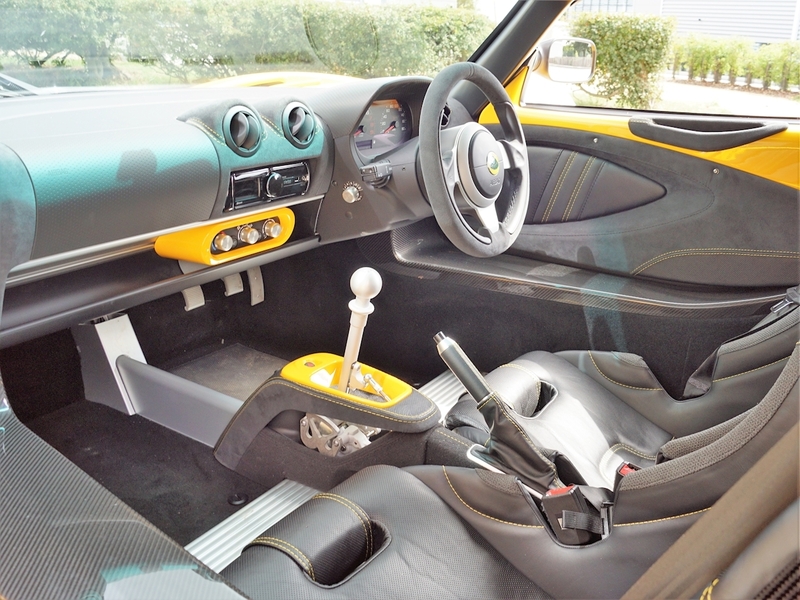 Black alcantara interior with yellow contrast stitching and Solid Yellow interior colour pack. 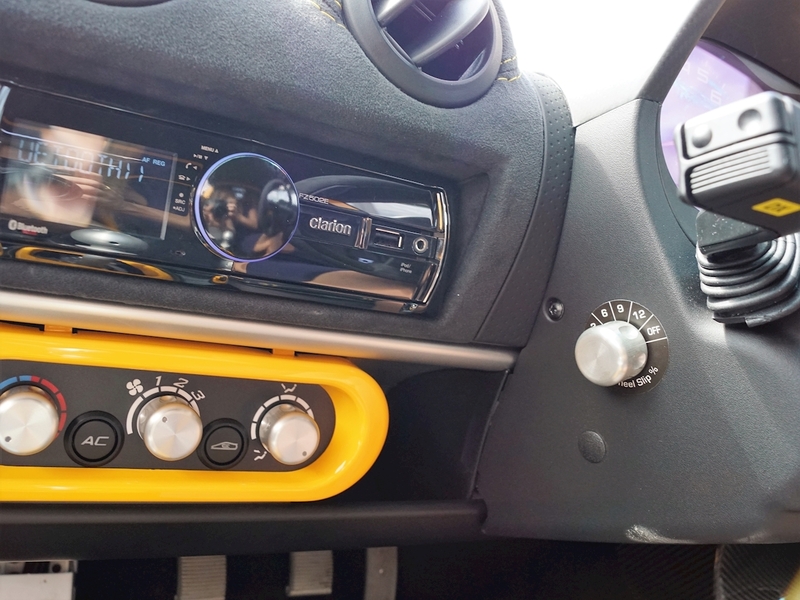 Full carpets, Floor mats, Air conditioning, Bluetooth Stereo with 2 mounted front speakers, Cruise control, Sound insulation, Lightweight satin black wheels with yellow brake calipers.